This post will help you to call Bangladesh, Pakistan or India from USA UK AND CANADA. We all use different VOIP softwares but when comes to calling to BANGLADESH OR INDIA we find that it’s very costly and so we always try to search for free ways. I did not post about free call to Bangladesh tricks a long time. 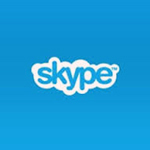 Check our previous post Get free 60 minutes Skype call credit exclusive trick . Raza.com is very old and well known VOICE OVER INTERNET PROTOCOL (VOIP) company. It is operating its VOIP business since 2000. So you will find a very reliable services from RAZA.This VOIP company is giving away free 100 minutes call credits to call from USA/UK/CANADA to INDIA, BANGLADESH PAKISTAN & other countries. This trial period can be repeated over and over again and you will get unlimited free trial. This trick is working now so give it a try. First Sign Up to Raza.com and fill out all the information accordingly. After completing all information press Sign up button. Now open your given email and Confirm your email by clicking the confirmation link. After confirmation Raza.com will ask you for your credit card information. This is just for verification of your address. You will not be charged any penny. Be sure to not click on Auto Pay option. You can enter Visa/MasterCard and after giving your credit card information and verified by Raza.com you will get 100 Minute free credit. If you are afraid of entering your credit card details just leave it empty. Now download Raza apps for your Android, Iphone Or Java Phone. I have personally tested that. I used my android phone and downloaded their android app. After installing the app I have opened it and it asked me for email,password and phone number. Remember only USA/UK/CANADA numbers are valid. Enter mobile number without any country code. After entering these information it just brought me to the app dashboard where I find a dial pad to call any number. I can also select any number from my contacts. The important part is that 1$ is in account. So as you see, I did not enter my credit card information on their website but using their app I can easily make free phone call. For calling to Bangladesh Raza charges only 1 cent per minute. That means I can now call upto 100 minutes totally free call to Bangladesh and any country in the world. Ok now you got the credit now the question is how to make the phone call. When you want to make a phone call you have to Dial your Local Access number. These access numbers are free to call. If you have downloaded RAZA app on your mobile then open it. Go to the Setting Tab and go to the access number tab. You can get your Access number from this link too. USA users can find their local access number by searching their state. Users from Other countries can also find their local access number on the list . Outgoing call only be possible with the number you used for registration on RAZA.com. Dial any of the Access numbers from your mobile which you have registered with RAZA and When the call is connected you will be asked to dial the destination phone number. Your Call will be connected to the destination number and enjoy free calling. Enjoy these free minutes to call free to BANGLADESH/INDIA/PAKISTAN. Now the Fun part. How to trigger this trick to make UNLIMITED free call to Bangladesh. You know Raza.com recognizes each user by their phone numbers and Credit card. Now getting USA NUMBER is very easy. You can use GOOGLE VOICE NUMBER to sign up for another account. And getting another credit card is not that tough. You can use Virtual Visa Or Master cards. So Sign up as many accounts as you want and get Unlimited free call to Bangladesh , India , Pakistan and other countries. After finishing those free minutes if you wish you can buy any raza.com Package from them and it offers really affordable and cheap VOIP packages. These packages can be bought from their website and Raza.com says they are confident about their services so they give you 30 day money back guarantee. If you are not satisfied with their call quality then you can simply cancel your order and you will get your full money back. Currently supported Payment options are Paypal,Mycheck,Visa, MasterCard, American Express, Discover. All new Raza users will get a chance to call to Bangladesh only 1 Cent per minute. It’s the lowest price for calling to Bangladesh. Raza gives Unlimited Minutes to call India per month only at $9 per month. This is another cheap package for calling to Indian Landline or Mobile. 30 Days Money Guarantee will ensure the crystal clear voice call. You can buy this package without any hesitation. Calling to Pakistan using RAZA is a bit costly compared to BD or India. It costs 4.9$ per minute to call mobiles or landlines belong to Pakistan. Wow, that’s an awesome guide. Will try this guide. You website information helps me while calling to the Bangladesh from India.